As much as I love embroidering I also love using embroidery toys for other purposes. A hoop does not always have to stretch a onesie and an iron on pattern can be used on a lot more than cloth. Read on to see what I mean. All your earrings in a tangled mess in the bottom of a drawer? 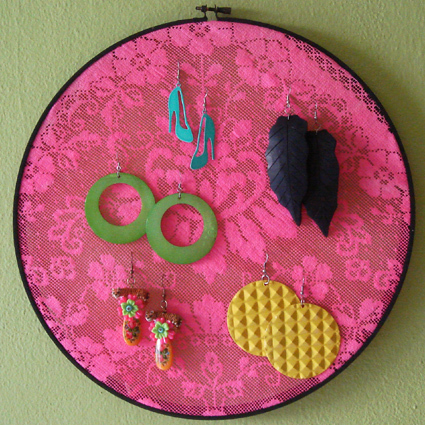 Why not try making our Hooptastical Earring Holder. Creative Jewish Mom whipped up an adorable bird mobile using wooden embroidery hoops. Here is another cute one on Instructables. Even if you don’t know a thing about silk screening or own a Yudu you could always adorn your duds DIY style with an embroidery hoop and pantyhose. 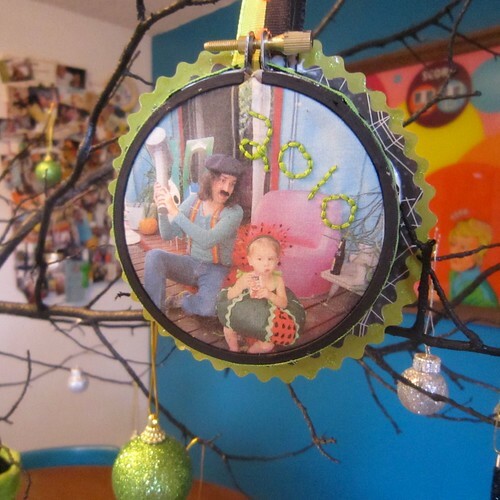 I have always loved the look of fabric framed inside embroidery hoops (my fave is all these on the ceiling of a nursery), but the folks at Little Pretty Studio took it a step further and made it into a bulletin board. 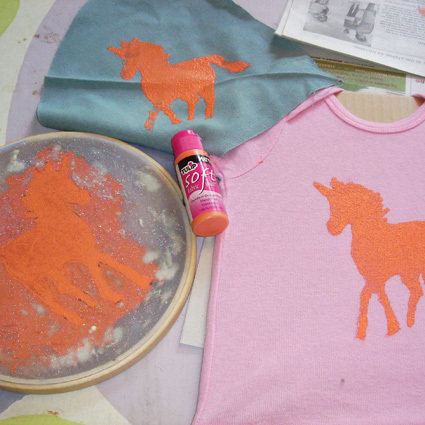 Embroidery patterns are good for lot’s of things besides embroidering. Take for example bean art. The folks over at The Keylor Family got supa dupa clever and made a pendent drum lamp out of embroidery hoops. Color me jealous for not thinking of this first. I made a wee little Halloween ornament using an embroidery hoop, but you could make a non-holiday themed one to just hang on your wall all year long. I’ve made a clock out of a record and watches into bracelets, but never did I think to make an embroidered clock. Thanks Look Ma, No Patterns for bringing this clever idea to my attention. I love all the adorable embroidery design options available, but don’t always have the patience to actually embroider them. 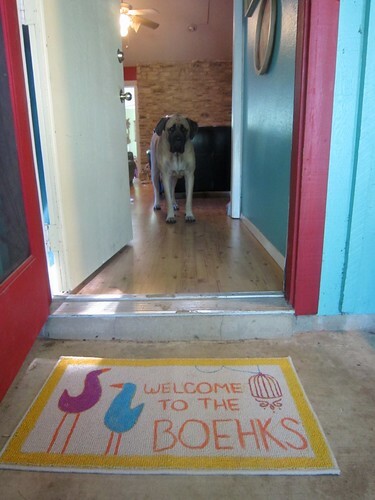 Sometimes I just paint them on door mats and such. Martha Stewart made a card holding wreath out of her embroidery hoop. There is nothing that says this same wreath could not hold vintage Valentines in Feb, monster playing cards in October or birthday cards any time of the year. Don’t get me wrong I love to use my embroidery tools in the traditional sense as much as the next guy. Just check out my mad scientist embroidery adventures, El Tigre Applique Hoodie, Teapot Doll, Bibs galore, Felt Baby Booties and onesies. 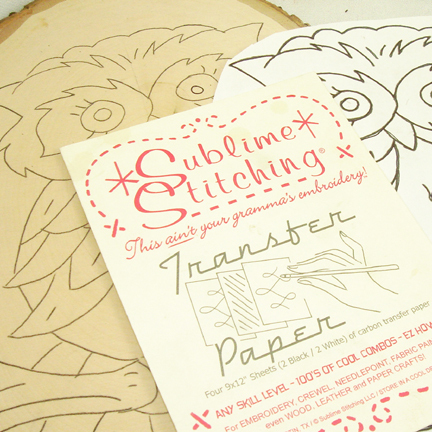 Have you used embroidery tools for any other crafty purposes beyond embroidering? Posted March 15, 2011 & filed under Needle Arts. awesome post! I love that embroidery hoop lamp. Genius! What a bunch of clever ideas! Thanks for the inspirations.